You can find everything under the sun at Nilgiris. This supermarket has been around since 1905, and they carry all kinds of products. From groceries, vegetables, and baked goodies to kitchen utensils, there's everything. Yes, Nilgiris has an array of baked products under their own brand too. They are famous for their cakes, chocolates, bread, and chocolate coated biscuits called Chococuits. 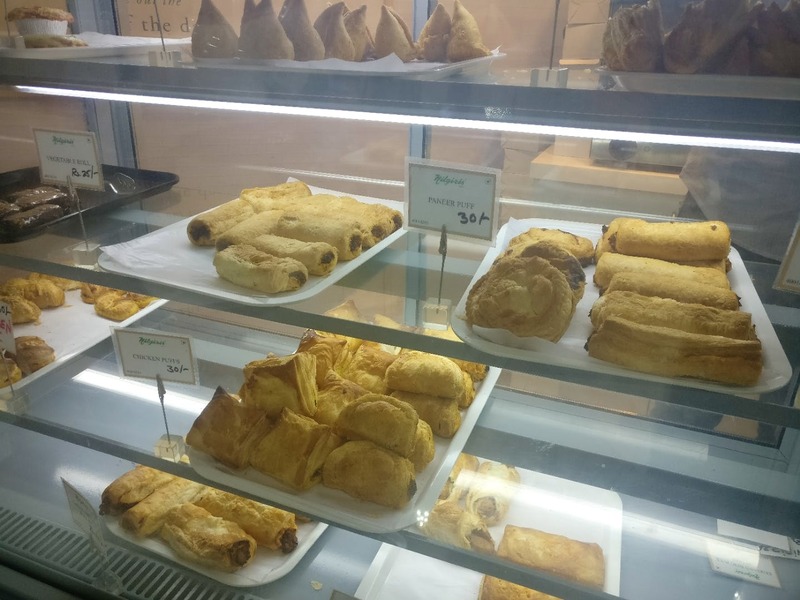 They also have a counter outside the supermarket where they sell pizzas, puffs, sandwiches, and samosas along with a variety of drool-worthy pastries that are so reasonably priced. Indulging in their short eats and baked goodies is a must according to me! I think they need to have more billing counters as there's always a long queue and waiting time. Are You Even From Bangalore If You Haven't Shopped At The Original Nilgiris?